The Sidewinder™ strips 15,000 (or 30,000 scrubs) square feet per hour with a 30' path and brush speed up to 1,150 RPM. 1 1/2 times faster than the nearest competitor. Three times faster than battery powered. Unique dual direction scouring action plus heavy brush pressure result in high productivity, with no side torque. 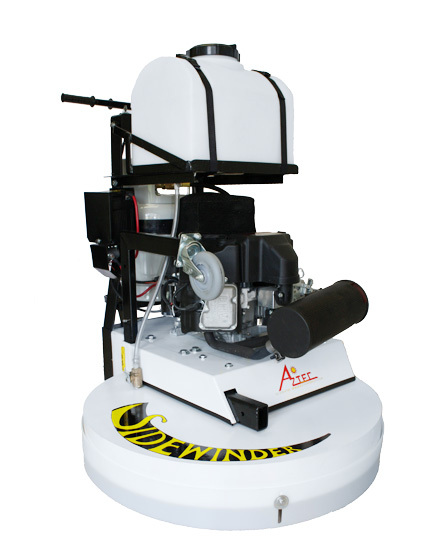 Dependability and ease of operation make all of Aztec's high speed floor care equipment a must for the growing Building Service Contractor or in-house professional. Work Rating: 25,000 Sq. Ft.